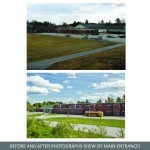 Ellsworth had two elementary schools, each serving a portion of the K-5 population. 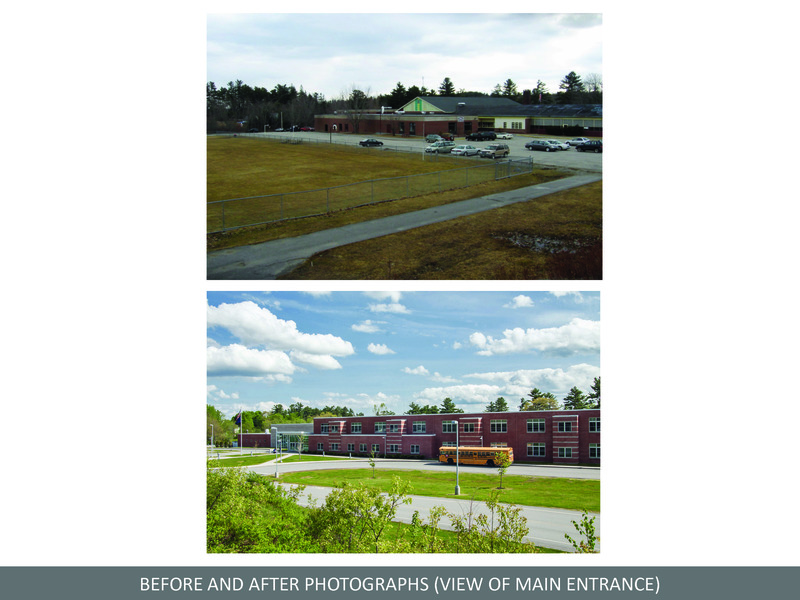 The town’s goal was to consolidate the two schools, but neither building could be feasibly renovated. 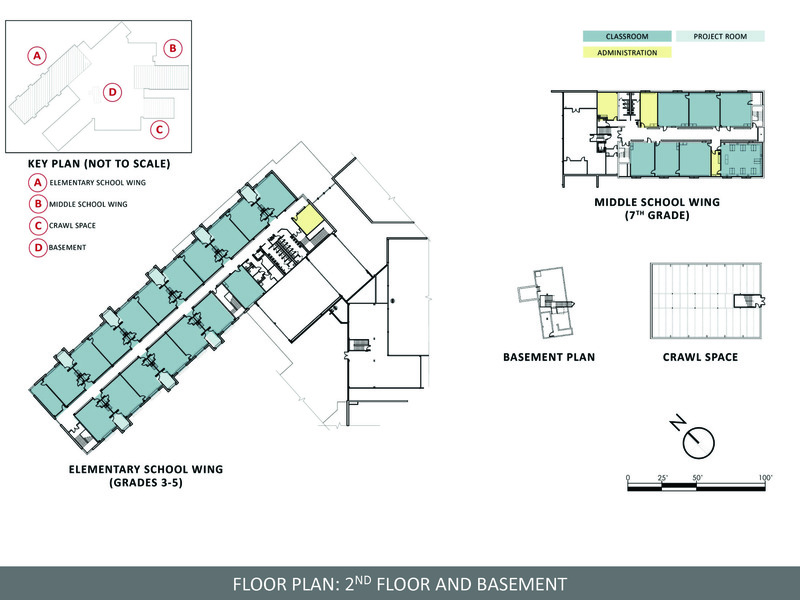 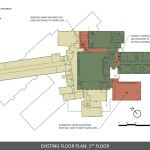 It was very important to the community that the elementary school remained within the downtown, but only one parcel of sufficient size was available—the existing Ellsworth Middle School site. 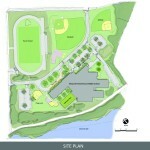 A 33.75-acre parcel, it was partially wooded but predominantly developed by the existing school, its vehicular areas, athletic fields and high school track facility. 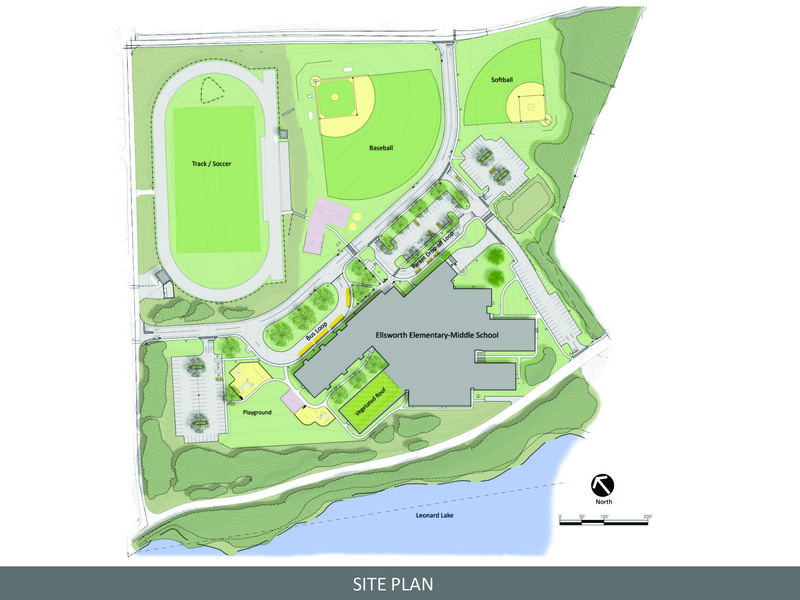 Due to the location of the existing track, poor structural soils on the existing fields, and the amount of area required for traffic circulation, the idea of building the new elementary school as a 100,000sf addition to the existing Middle School was pursued. 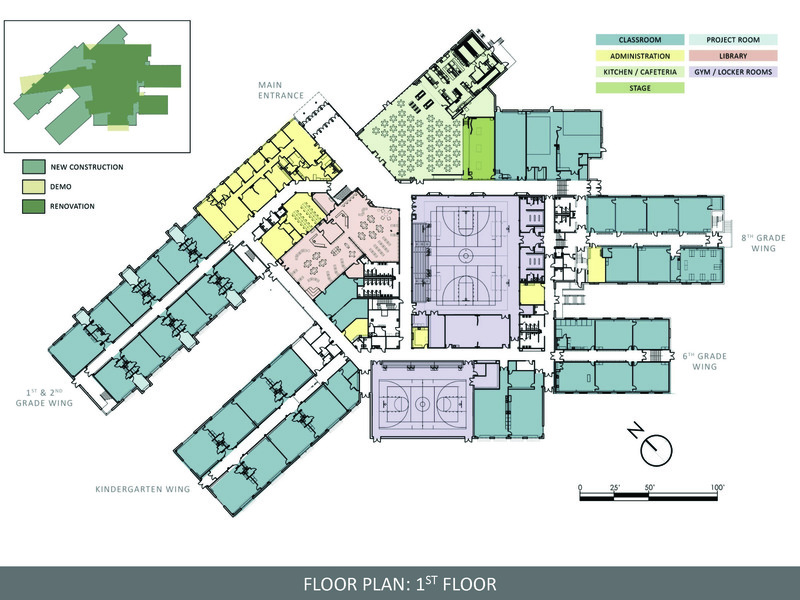 Doing so required substantial renovations to the Middle School to fix code and program deficiencies, including significant barriers to accessibility. 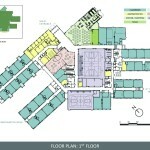 The original 42,000 square foot building (a high school at the time) was constructed in 1950, and additions (44,500sf total) were made in 1972. 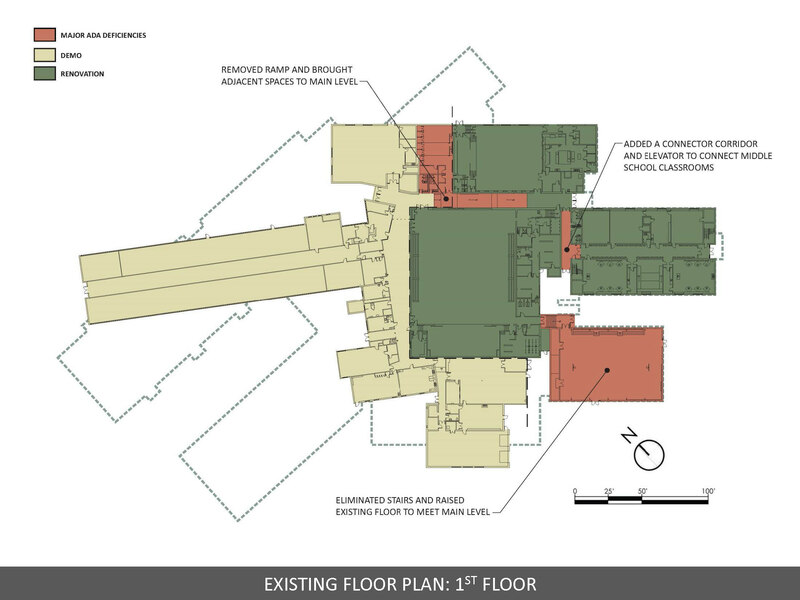 Although the original building was single-story, the building additions had multiple levels, connected by flights of stairs or by ramps that were non-compliant by today’s accessibility standards. 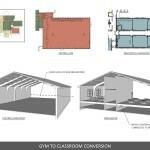 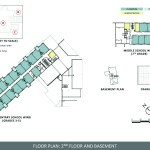 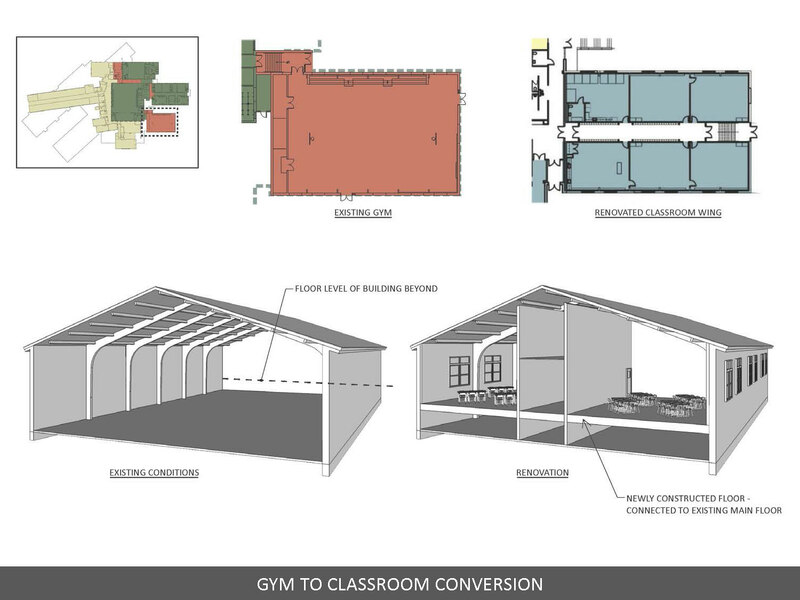 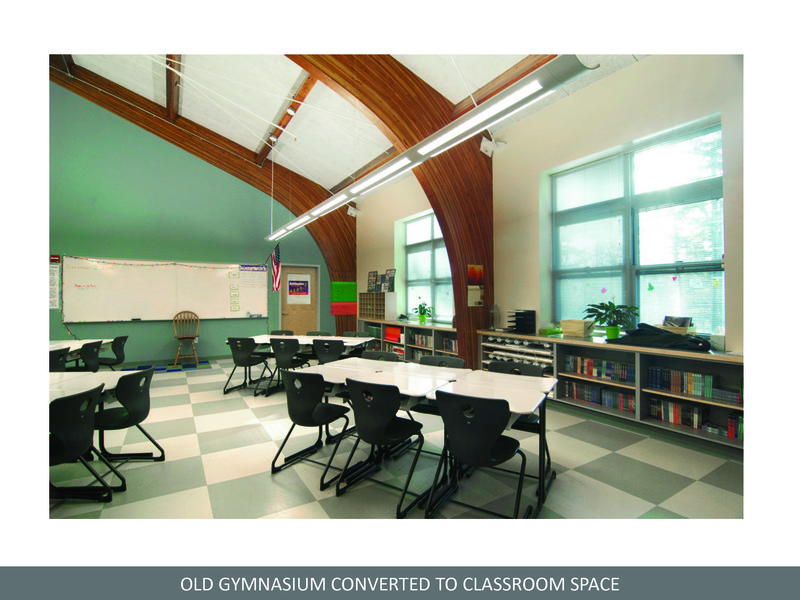 Accommodating a student with physical disabilities meant moving the grade-level classrooms each year to ensure that the student would be able to avoid the inaccessible levels of the building. 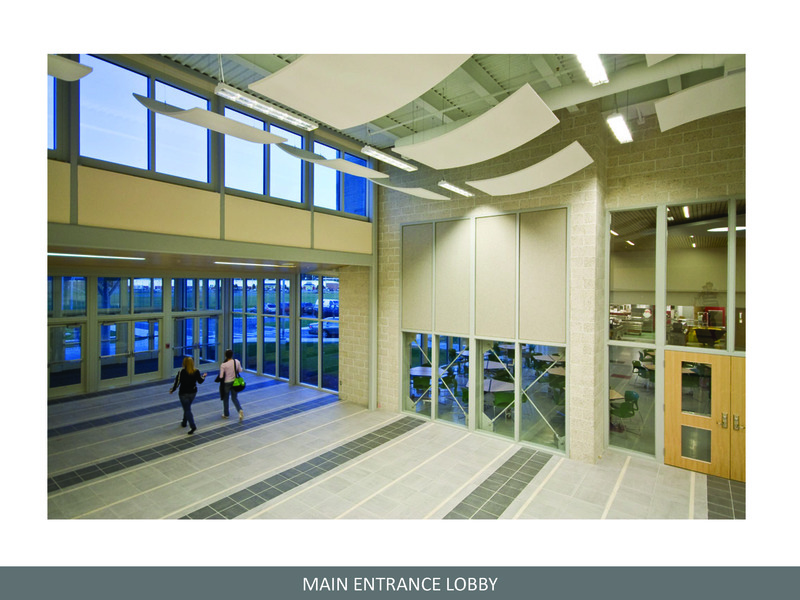 Furthermore, many existing doorways and entrances did not meet accessibility requirements. 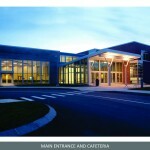 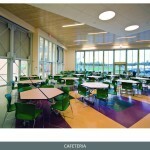 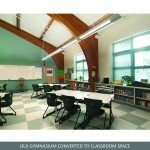 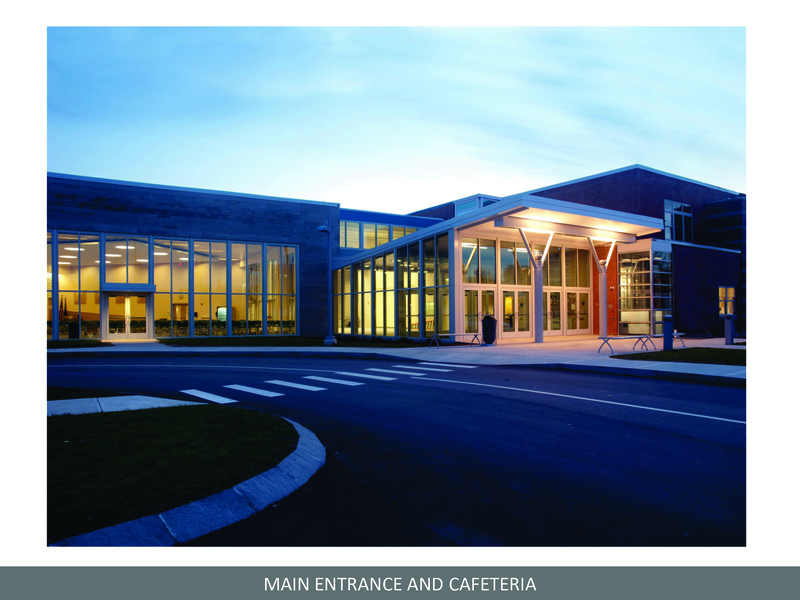 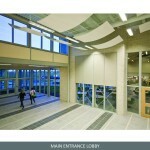 A 47,000sf renovation removed an abandoned wing of the Middle School, reworked floor elevations, added elevators, updated entrances, doorways and bathrooms, and incorporated a major building addition for the new elementary school that blended the preK-8 population on one campus, within one-half mile of the previous schools. 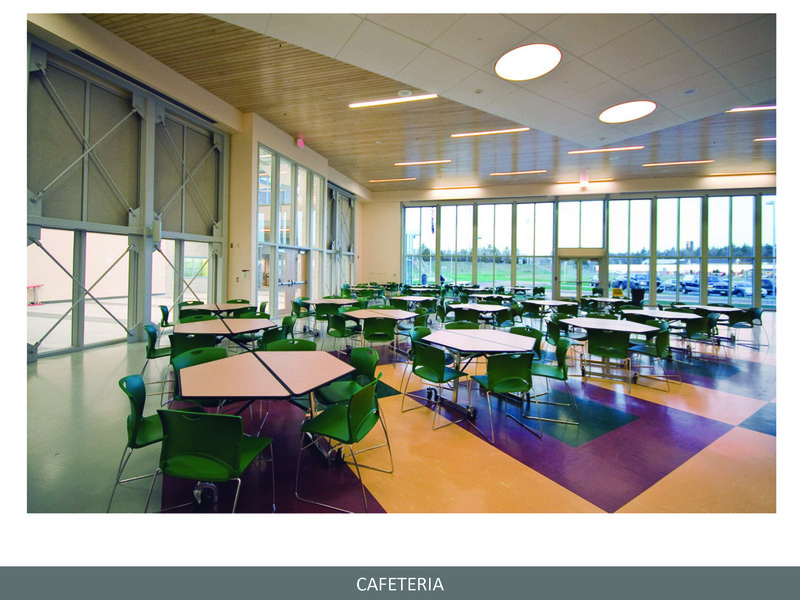 The resulting 147,000sf, 900-student school benefits from shared core elements, universal accessibility, and more efficient operations.